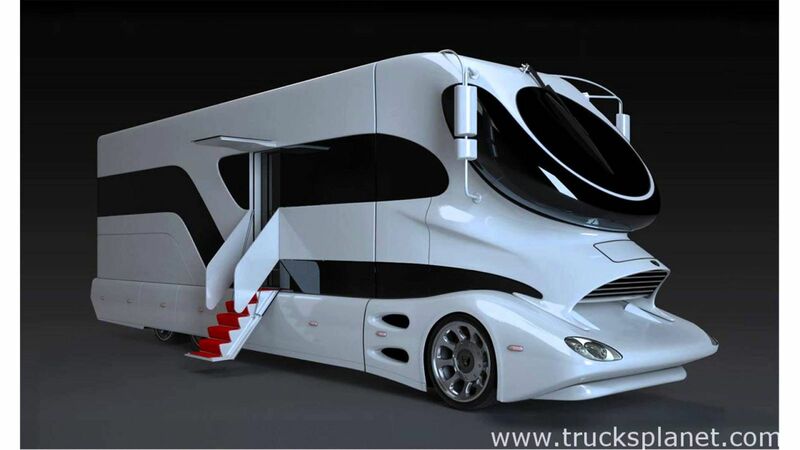 CHECK OUT THIS LAVISH LAND YACHT, MOBILE MANSION, WHAT EVER YOU WANT TO LABEL IT, ITS EXTRAVAGANT AND AMAZING! 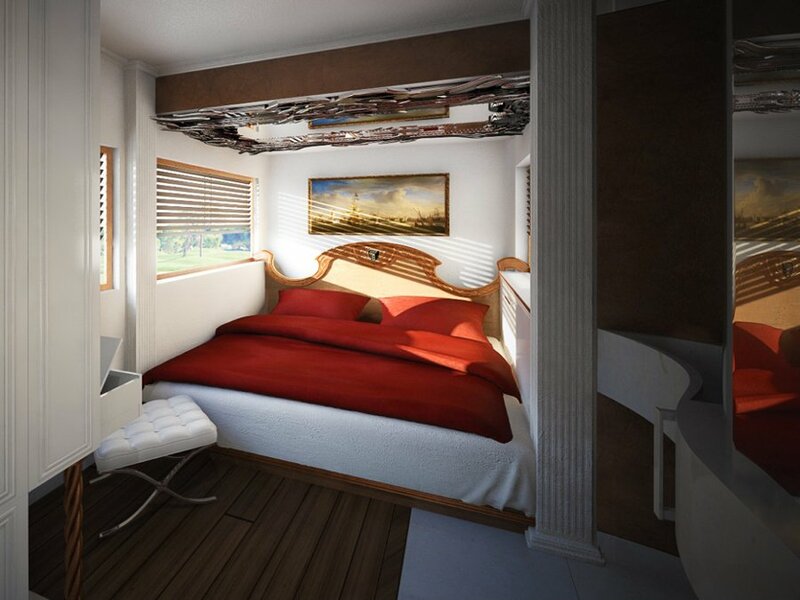 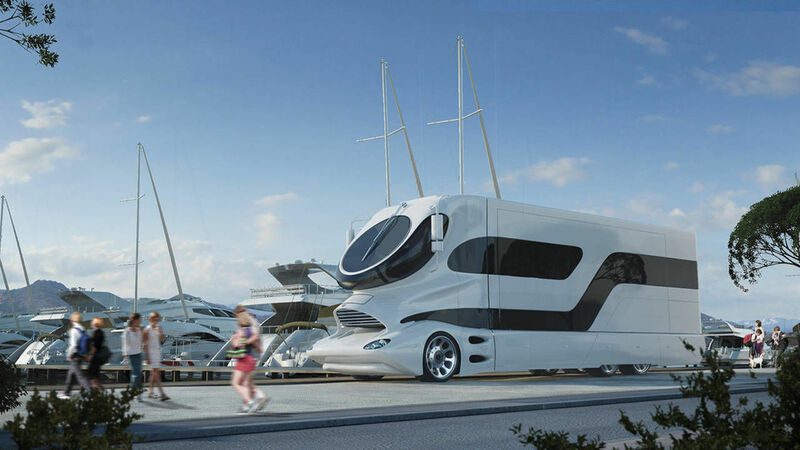 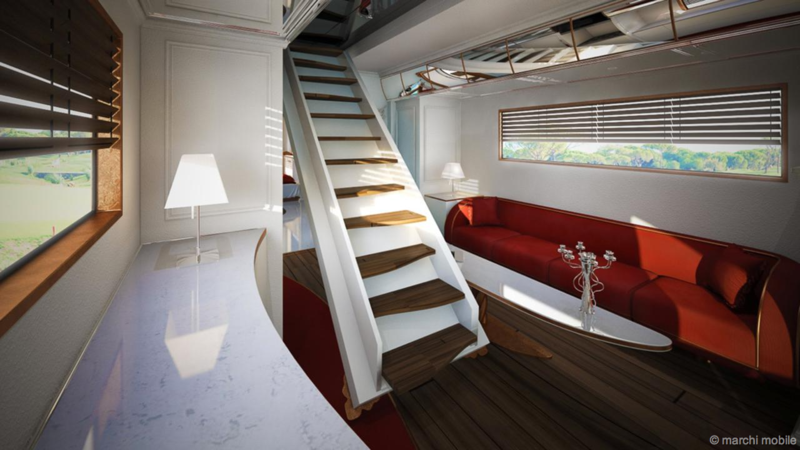 If you hate boats, maybe not keen on busses or standard mobile homes, and maybe want to live that super-yacht lifestyle check out Marchi Mobile’s eleMMent Palazzo mobile home which was made in Dubai. 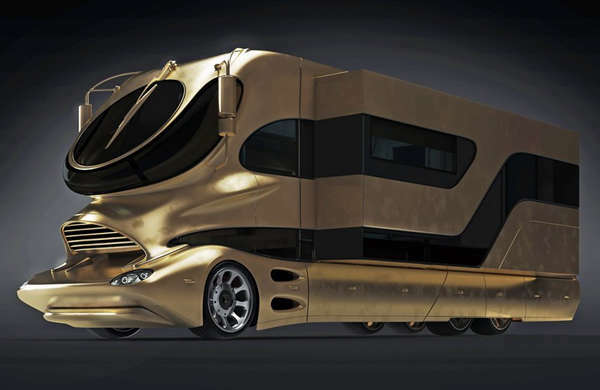 It comes with a hefty price tag of $3 million but if it fits your eccentric lifestyle then lets see what it gets you. 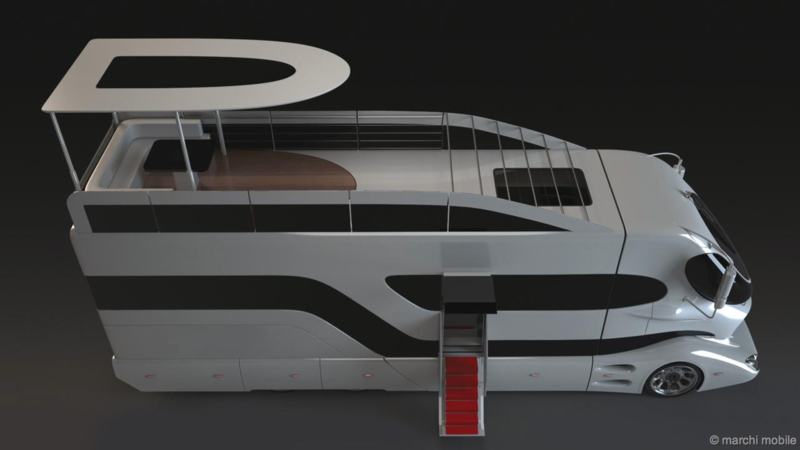 Measuring 40 feet in length and comes in exterior colors of white and extravagant gold. 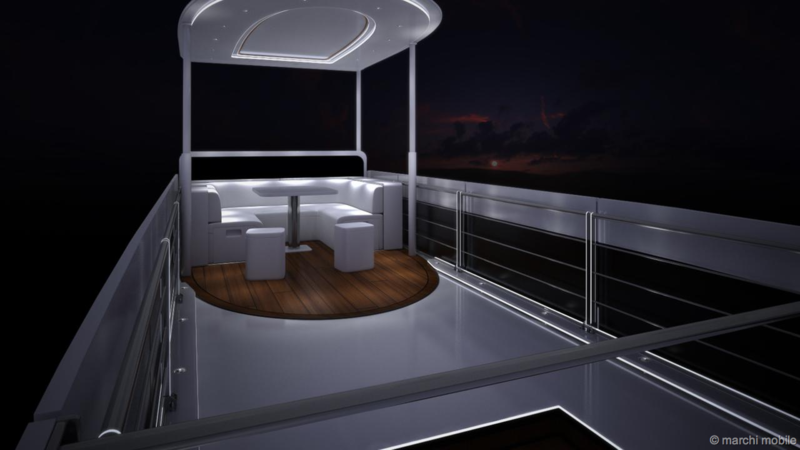 The Palazzo features two levels of entertainment with a giant, extravagant master suite, and with a press of the button transforms into a sky lounge up top with a cocktail pop up bar. 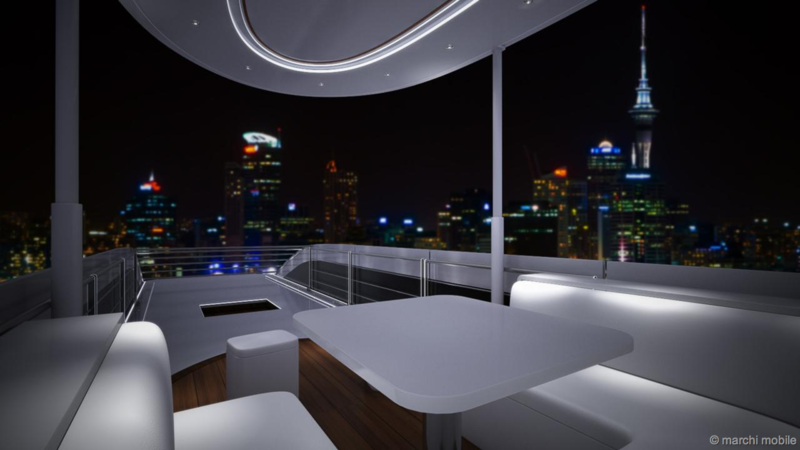 If the weather is gorgeous or you care for night time star gazing on the rooftop terrace with cocktails, you can extend the driver’s side slide-out which increases the interior space by 80%. 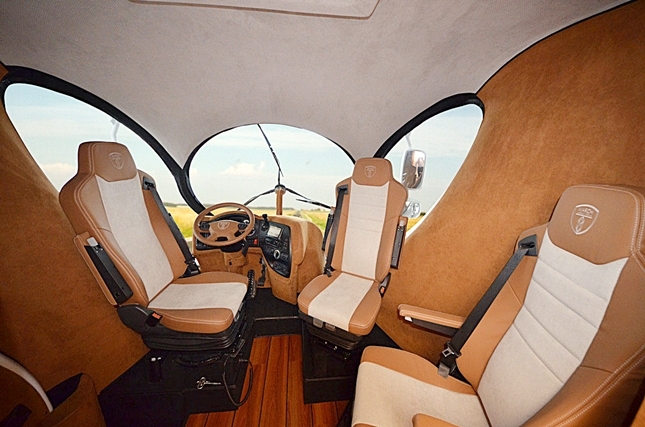 The drivers section looks more like a plane cockpit with futuristic windows with a revolving windshield washing blade. 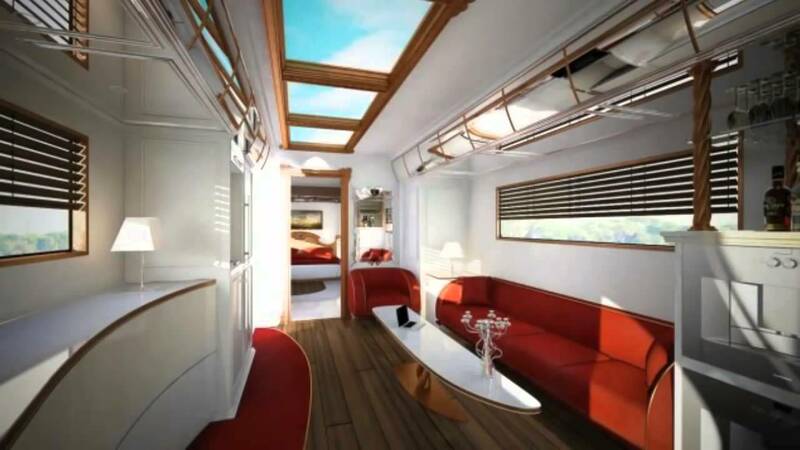 This moving mansion is capable of traveling as fast as 93 MPH, with some great amenities such as a rainfall shower and BBQ grill, kitchen area, and underfloor heating. 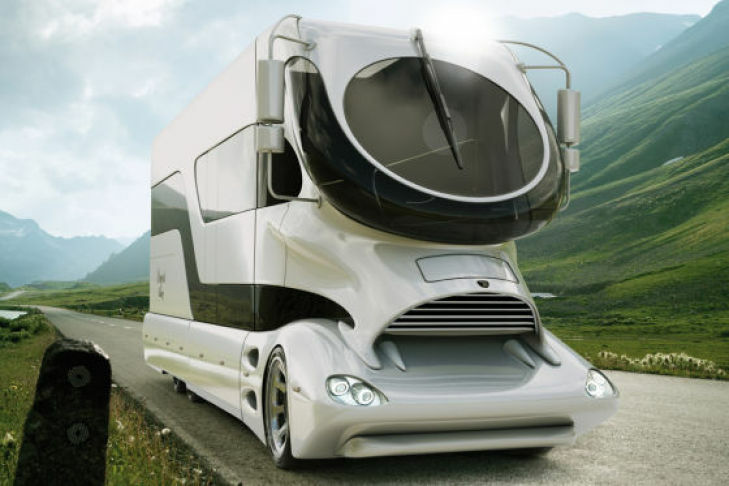 It has a remote monitoring system that lets you keep an eye on your rig while you’re out and about, but you’d probably never leave.